Exposure to sulfur dioxide can cause severe health problems, including aggravating asthma, decreasing lung capacity, and exacerbating heart disease. It also contributes to acid rain, which is highly toxic to aquatic life and plants. Scientists speculate that sulfur dioxide can be trapped at its primary source, coal exhaust, with a high-tech network of molecules called a metal-organic framework, or MOF for short. In a recent breakthrough, researchers at the Center for Understanding and Control of Acid Gas-Induced Evolution of Materials for Energy (UNCAGE-ME) Energy Frontier Research Center (EFRC) have identified a MOF that can capture sulfur dioxide in humid environments. MOFs are porous materials that hold metal atoms in place. The size of the pores and the type of metal can be modified to control what goes into the pore and what happens once something is inside. The scientists exposed zinc, cobalt, and copper MOFs to sulfur dioxide and water concentrations similar to those of coal exhaust for multiple days. All three materials absorbed the troublesome gas to the point of saturation. With that in mind, the scientists analyzed the structural stability of the surfaces after days of exposure to humid sulfur dioxide. Water adsorption caused the materials to swell, and the surfaces of copper and cobalt MOFs degraded after two days. “Usually when water is involved, you end up making sulfuric acid and that degrades these materials,” said Orlando. The zinc MOF, however, expanded but maintained its structural and chemical integrity. Unlike other materials, the zinc MOF didn’t degrade in the acidic environment. Although the copper MOF appeared dilapidated after exposure to conditions like those found inside a smokestack at a coal-fired power plant, it demonstrated promising reactivity with the absorbed sulfur dioxide. Sulfur dioxide typically undergoes a chemical change and loses electrons in wet conditions. The opposite effect was observed in sulfur dioxide captured by the copper MOF. The sulfur gained electrons, making an important ingredient for industrial sulfuric acid production according to Alex Elder, who worked on the project as a graduate student and recently defended his Ph.D. dissertation. “We showed how the instability of a material might be used in capture,” said Elder. 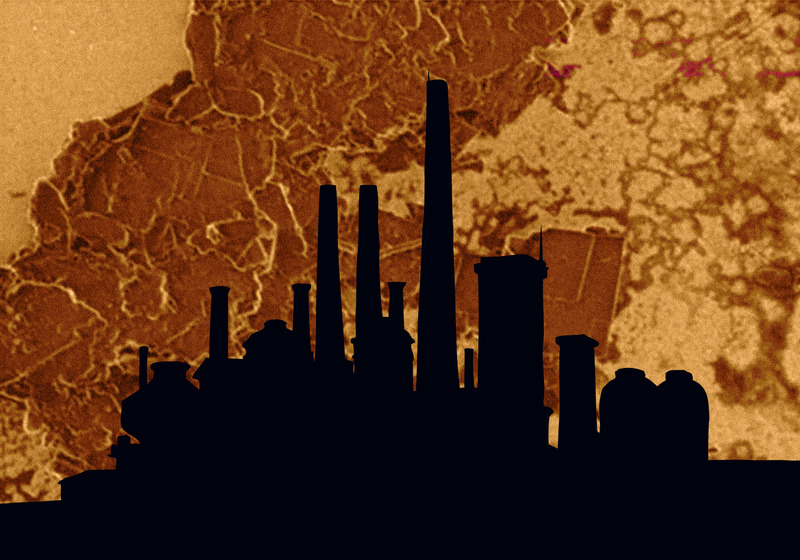 The copper MOF may be able to capture harmful sulfur dioxide emissions and convert them into a useful product. The EFRC allows scientists to approach a problem that is historically difficult and can only be tackled by a diverse group with diverse perspectives and capabilities. For example, due to the hazards associated with the toxic sulfur dioxide gas, the UNCAGE-ME collaboration facilitated development of controlled sulfur dioxide reactors that could mimic conditions similar to coal exhaust. A surface scientist and chemical physicist by training, Orlando emphasizes the importance of integrating fundamental and applied sciences with engineering. “We have excellent engineering colleagues,” he said. Engineers at UNCAGE-ME are working together with chemists and physicists to help unravel the chemical mechanisms and materials issues. They are also engaged in eventually scaling up the sulfur dioxide capture process. Future MOFs may be used to capture sulfur dioxide from coal exhaust and change it into a useful product. 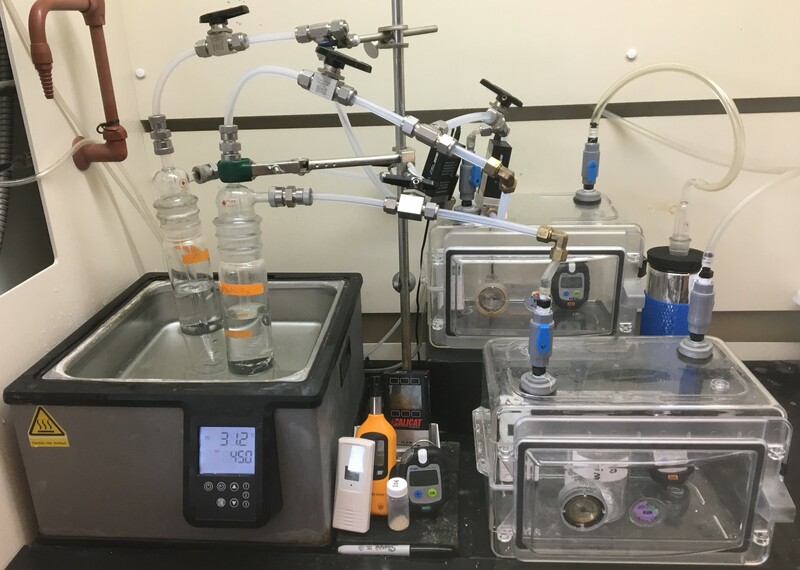 The work was supported by the Center for Understanding and Control of Acid Gas-Induced Evolution of Materials for Energy, an Energy Frontier Research Center, funded by the U.S. Department of Energy, Office of Science, Basic Energy Sciences. Hannah Sayre is a chemist and a postdoctoral researcher at the Bioinspired Light-Escalated Chemistry (BioLEC) Energy Frontier Research Center. She designs and creates new molecules in the Greg Scholes' laboratory at Princeton University. Hannah is originally from Cincinnati, Ohio, where she was first excited by photochemistry (light-activated chemical reactions) as a student at the University of Cincinnati. She continued to research photochemistry for solar energy applications for her master’s degree at Virginia Tech. Hannah completed her Ph.D. from The Ohio State University where she worked with Claudia Turro to develop molecules that increase the amount of light harvested for making solar fuels. When she’s not in the lab, Hannah enjoys crafting, biking, baking, and playing at art and science museums. It aggravates asthma. Decreases lung capacity. Exacerbates heart disease. Sulfur dioxide gas causes a host of health problems. The challenge is capturing it in places like coal-fired power plant smoke stacks. Inside the stacks, it’s hot and humid. 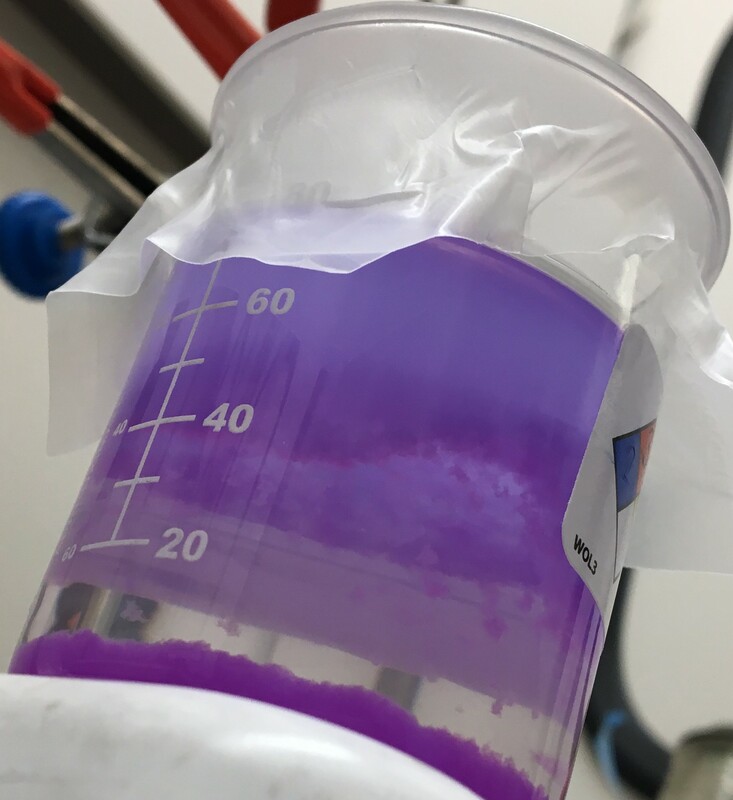 Tough conditions for most gas-capture materials. Enter the Center for Understanding and Control of Acid Gas-Induced Evolution of Materials for Energy (UNCAGE-ME) Energy Frontier Research Center. They identified a sponge-like material that catches sulfur dioxide in humid environments. Surprisingly, in capturing the gas, this copper-based material also generates a vital ingredient to produce sulfuric acid. Researchers are working to learn more about the material’s nuances. UNCAGE-ME is led by the Georgia Institute of Technology.